Abstract: Based on the conventional observational data, the TBB data of FY-2G satellite, the data of ground encrypted automatic weather stations and the NCEP/NCAR reanalysis data with 0.25°×0.25° spatial resolution, the cause of an extreme torrential rainstorm occurred in the West of Xinjiang from 31 July to 1 August 2016 was studied. The results are as follows:Stable circulation of "two ridges one trough" at 500 hPa and monomorphic South Asia high pressure at 100 hPa were the weather background of the rainstorm, rainstorm area was located in the right side of the entrance area of southwest jet at 200 hPa, the front of low-level east jet at 700 hPa, nearby of southerly jet at 500 hPa and the convergence line at 700 hPa. The water vapor source of the extreme heavy rain were Central Asia low trough carried its own water vapor and low latitude Baya Bay, the South China Sea and the Western Pacific Ocean transporting to the rainstorm area rich water vapor under the extremely advantageous match of the high, medium and low latitude circulation system. Water vapor importations that from the west border, east border and south border played an important role in the rainstorm process, especially the western boundary and the eastern boundary, accounting for 78.4% of the total water vapor input. The match of the high altitude jet and the low altitude jet and the horizontal shear of the meridional wind and the vertical shear of the zonal wind provided favorable conditions for the generation and development of the mesoscale systems of the rainstorm and the convergence rising movement in the rainstorm area. After the formation of the mesoscale convective cloud, moving and developing northward continuously under the action of the pilot airflow, which were the direct systems of heavy rain. Developmental and moving the low-level jet, the shear line, the wind field convergence line and the terrain convergence line and a number of strong ascending branch of the multiple mesoscale vertical circulations from the Tianshan windward slope to distributed northward constantly transported the water vapor and the energy upwards, which were transported northward to the rainstorm area by strong southerly flow of the trough at 500 hPa. All of the warm advection, the wind shear of middle and low level and the Tianshan terrain played an important role in the generation and upward intensive development of the mesoscale system on the windward slope of the Tianshan terrain constantly. ZENG Yong, YANG Lianmei. Analysis on the Causes of an Extreme Rainfall Event in the West of Xinjiang. Plateau Meteorology, 2018, 37(5): 1220-1232. 陈红专, 叶成志, 唐明晖, 2013.2011年6月湖南两次暴雨过程的中尺度特征对比分析[J]. 气象, 39(12):1580-1590. Chen H Z, Ye C Z, Tang M H, 2013. Comparative analysis on mesoscale characteristics of two rainstorm processes in Hunan province in June 2011[J]. Meteor Mon, 39(12):1580-1590. 陈春艳, 孔期, 李如琦, 2012. 天山北坡一次特大暴雨过程诊断分析[J]. 气象, 38(1):72-80. Chen C Y, Kong Q, Li R Q, 2012. Analysis of a major rainstorm in the North slope of Tianshan Mountains[J]. Meteor Mon, 38(1):72-80. 陈鹏, 刘德, 周盈颖, 等, 2015. 一次重庆特大暴雨过程的中尺度分析[J]. 高原气象, 34(1):82-92. Cheng P, Liu D, Zhou Y Y, et al, 2015. Analysis of rain caused by shear line over Chongqing[J]. Plateau Meteor, 34(1):82-92. DOI:10.7522/j. issn. 1000-0534.2013.00162. 丁一汇, 1993.1991年江淮流域持续性特大暴雨研究[M]. 北京:气象出版社, 249-254. Ding Y H, 1993. Study on the lasting heavy rainfalls over the Yangtze-Huaihe River basin in 1991[M]. Beijing:China Meteorological Press, 249-254. 江远安, 包斌, 王旭, 2001. 南疆西部大降水天气过程的统计分析[J]. 新疆气象, 24(5):19-20. Jang Y A, Bao B, Wang X, 2001. Analysis on heavy precipitation weather process in west of South Xinjiang[J]. Xinjiang Meteor, 24(5):19-20. 李晓霞, 尚大成, 谌云, 等, 2013. 甘肃陇南两次不同强度暴雨天气的中尺度特征分析[J]. 高原气象, 32(5):1389-1399. Li X X, Shang D C, Shen Y, et al, 2013. Mesoscale analysis on two different intensity rainstorm processes in the east of Gansu province[J]. Plateau Meteor, 32(5):1389-1399. DOI:10.7522/j. issn. 1000-0534.2012.00130. 李琴, 崔晓鹏, 曹洁, 2014. 四川地区一次暴雨过程的观测分析与数值模拟[J]. 大气科学, 38(6):1095-1108. Li Q, Cui X P, Cao J, 2014. Observational analysis and numerical simulation of a heavy rainfall event in Sichuan Province[J]. Chinese J Atmos Sci, 38(6):1095-1108. DOI:10.3878/j. issn. 1006-9895.1401.13255. 宋雯雯, 李国平, 2016. 两类涡度矢量对四川盆地一次暴雨过程的分析应用[J]. 高原气象, 35(6):1464-1475. Song W W, Li G P, 2016. Analysis and application of the two type vorticity on a heavy rainfall in Sichuan Basin[J]. Plateau Meteor, 35(6):1464-1475. DOI:10.7522/j. issn. 1000-0534.2015.00115. 陶诗言, 1980. 中国之暴雨[M]. 北京:科学出版社. Tao S Y, 1980. Rainstorms in China[M]. Beijing:Science Press. 陶诗言, 倪允琪, 赵思雄, 等, 2001.1998夏季中国暴雨形成机理与预报研究[M]. 北京:气象出版社. Tao S Y, Ni Y Q, Zhao S X, et al, 2001. Study on formation mechanism and forecast of torrential rain in China in 1998[M]. Beijing:China Meteorological Press. 吴国雄, 蔡雅萍, 庄晓菁, 1995. 湿位涡和倾斜涡度发展[J]. 气象学报, 53(4):387-405. Wu G X, Cai Y P, Tang X J, 1995. Mosit potential vorticity and slantwise vorticity development[J]. Acta Meteor Sinica, 53(4):387-405. 肖开提·多莱特, 汤浩, 李霞, 等, 1997. "96·7"新疆特大暴雨的水汽条件研究[J]. 新疆气象, 20(1):8-11. Xiaokaiti D L T, Tang H, Li X, et al, 1997. Study on the vapor condition of "96·7" heavy rainfall in Xinjiang[J]. Xinjiang Meteor, 20(1):8-11. 杨莲梅, 张云惠, 汤浩, 2012.2007年7月新疆三次暴雨过程的水汽特征分析[J]. 高原气象, 31(4):963-973. Yang L M, Zhang Y H, Tang H, 2012. Analyses on water vapor characteristics in three heavy rainstorm processes of Xinjiang in July 2007[J]. Plateau Meteor, 31(4):202-209. 杨莲梅, 2003. 南亚高压突变引起的一次新疆暴雨天气研究[J]. 气象, 29(8):21-25. Yang L M, 2003. Research on a case of heavy rain in Xinjiang from South Asia High abnormity[J]. Meteor Mon, 29(8):21-25. 杨莲梅, 张广兴, 2004. 阿克苏北部绿洲强对流暴雨与冰雹红外云图特征对比分析[J]. 干旱气象, 22(3):22-25. Yang L M, Zhang G X, 2004. Infrared satellite image analysis of severe convective rainstorm and hail in North Oasis of Aksu[J]. J Arid Meteor, 22(3):22-25. 庄薇, 刘黎平, 王楠, 2006. 新疆地区一次对流性降水的三维中尺度风场研究[J]. 应用气象学报, 17(4):444-451. Zhuang W, Liu L P, Wang N, 2006. Study on three-dimensional wind fields of mesoscale convective systems in Xinjiang[J]. Quart J Appl Meteor, 17(4):444-451. 赵思雄, 陶祖钰, 孙建华, 等, 2004. 长江流域梅雨锋暴雨机理的分析研究[M]. 北京:气象出版社. Zhao S X, Tao Z Y, Sun J H, et al, 2004. Study on the mechanism of the formation and development of heavy rainfall on the Meiyu Front in Yangtze River[M]. Beijing:China Meteorology Press. 赵庆云, 傅朝, 刘新伟, 等, 2017. 西北东部暖区大暴雨中尺度系统演变特征[J]. 高原气象, 36(3):697-704. Zhao Q Y, Fu C, Liu X W, et al, 2017. Characteristics of mesoscale system evolution of torrential rain in warm sector over Northwest China[J]. Plateau Meteor, 36(3):697-704. DOI:10.7522/j. issn. 1000-0534.2016.00140. 赵桂香, 薄燕青, 邱贵强, 等, 2017. 黄河中游一次大暴雨的观测分析与数值模拟[J]. 高原气象, 36(2):436-454. Zhao G X, Bo Y Q, Qiu G Q, et al, 2017. Observation analysis and numerical simulation about a heavy rain in the middle of Yellow River[J]. Plateau Meteor, 36(2):436-454. DOI:10.7522/j. issn. 1000-0534.2016.00093. 周玉淑, 刘璐, 朱科锋, 等, 2014. 北京"7·21"特大暴雨过程中尺度系统的模拟及演变特征分析[J]. 大气科学, 38(5):885-896. Zhou Y S, Liu L, Zhu K F, et al, 2014. Simulation and evolution characteristics of mesoscale systems occurring in Beijing on 21 July 2012[J]. Chinese J Atmos Sci, 38(5):885-896. DOI:10.3878/j. issn. 1006-9895.2013.13185. 张迎新, 李宗涛, 姚学祥, 2015. 京津冀"7·21"暴雨过程的中尺度分析[J]. 高原气象, 34(1):202-209. Zhang Y X, Li Z T, Yao X X, 2015. Analysis on mesoscale system of torrential rain occurring over North China on 21 July 2012[J]. Plateau Meteor, 34(1):202-209. DOI:10.7522/j. issn. 1000-0534.2013.00096. 张家宝, 邓子风, 1987. 新疆降水概论[M]. 北京:气象出版社. Zhang J B, Deng Z F, 1987. A generality of rainfall in Xinjiang[M]. Beijing:China Meteorological Press. 张云惠, 陈春艳, 杨莲梅, 等, 2013. 南疆西部一次罕见暴雨过程的成因分析[J]. 高原气象, 32(1):191-200. Zhang Y H, Chen C Y, Yang L M, et al, 2013. 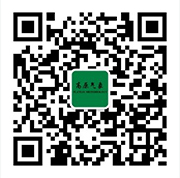 Cause analysis on rare rainstorm in West of Southern Xinjiang[J]. Plateau Meteor, 32(1):191-200. DOI:10.7522/j. issn. 1000-0534.2012.00019. 朱乾根, 周伟灿, 张海霞, 2001. 高低空急流耦合对长江中游强暴雨形成的机理研究[J]. 南京气象学院学报, 24(3):308-314. Zhu Q G, Zhou W C, Zhang H X, 2001. Mechanism of the formation of torrential rain by coupled high/low level jets over the middle reaches of the Yangtze River[J]. Journal of Nanjing Institute of Meteorology, 24 (3):308-314. 郑淋淋, 孙建华, 2016. 风切变对中尺度对流系统强度和组织结构影响的数值试验[J]. 大气科学, 40(2):324-340. Zheng L L, Sun J H, 2016. The impact of vertical wind shear on the intensity and organizational mode of mesoscale convective systems using numerical experiments[J]. Chinese J Atmos Sci, 40(2):324-340, DOI:10.3878/j. issn. 1006-9895.1505.14311. 曾勇, 杨莲梅, 2017a. 南疆西部一次暴雨强对流过程的中尺度特征分析[J]. 干旱气象, 35(3):475-484. Zeng Y, Yang L M, 2017a. Mesoscale characteristic analysis of a severe convective weather with torrential rain in the West of Southern Xinjiang[J]. J Arid meteor, 35(3):475-484. 曾勇, 杨莲梅, 2017b. 南疆西部两次短时强降水天气中尺度特征对比分析[J]. 暴雨灾害, 36(5):410-421. Zeng Y, Yang L M, 2017b. Comparative analysis on mesoscale characteristics of two severe short-time precipitation events in the west of southern Xinjiang[J]. Torrential Rain Disaster, 36(5):410-421. DOI:10.3969/j. issn. 1004-9045.2017.05.003. 朱平, 俞小鼎. 青藏高原东北部一次罕见强对流天气的中小尺度系统特征分析[J]. 高原气象, 2019, 38(1): 1-13. 许洁, 马耀明, 孙方林, 马伟强. 湖泊和上风向地形对纳木错地区秋季降水影响[J]. 高原气象, 2018, 37(6): 1535-1543. 刘郁珏, 苗世光, 胡非, 刘玉宝. 冬奥会小海坨山赛区边界层风场大涡模拟研究[J]. 高原气象, 2018, 37(5): 1388-1401. 周荣卫, 何晓凤. 新疆哈密复杂地形风场的数值模拟及特征分析[J]. 高原气象, 2018, 37(5): 1413-1427. 赵庆云, 张武, 陈晓燕, 苟尚. 一次六盘山两侧强对流暴雨中尺度对流系统的传播特征[J]. 高原气象, 2018, 37(3): 767-776. 段旭, 段玮, 邢冬, 张亚男. 冬春季昆明准静止锋与云贵高原地形的关系[J]. 高原气象, 2018, 37(1): 137-147. 陈丹, 周长艳, 熊光明, 邓梦雨. 近53年四川盆地夏季暴雨变化特征分析[J]. 高原气象, 2018, 37(1): 197-206. 王莹, 苗峻峰, 苏涛. 海南岛地形对局地海风降水强度和分布影响的数值模拟[J]. 高原气象, 2018, 37(1): 207-222. 王承伟, 齐铎, 徐玥, 张礼宝, 胡中明, 周莹, 王庆瑜. 冷空气入侵台风“灿鸿”引发的东北暴雨分析[J]. 高原气象, 2017, 36(5): 1257-1266. 马梁臣, 孙力, 王宁. 东北地区典型暴雨个例的水汽输送特征分析[J]. 高原气象, 2017, 36(4): 960-970.